Where was the uproar about this? I know, I'm late to the party. Despite being interested in 2013's The Last of Us on PlayStation 3, I kept putting off getting it. When the current-generation remaster showed up as a pack-in for the PlayStation 4 late last year, I finally took the plunge. Even then, I played through the entire single player campaign before touching the multiplayer. I only recently got into the online Factions mode, but it has become my latest obsession. Taking the stealth/action/crafting/cover-based shooter gameplay and pitting players against one another is fantastic, and I anticipate it will keep me busy for months. 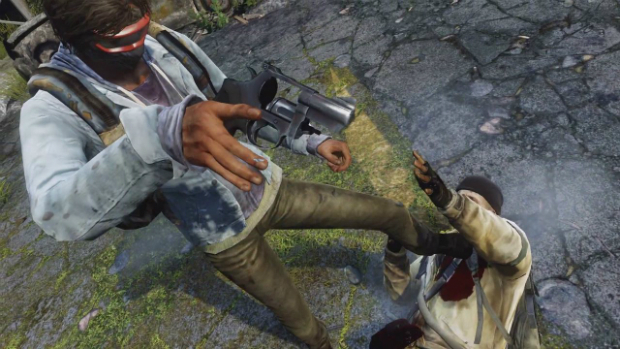 There is one small problem: the relatively recent multiplayer downloadable content contains some of the worst elements of free-to-play multiplayer -- exacerbated by the fact that The Last of Us is not actually a free-to-play game. Taking a look at the options, some of it isn't too offensive. New gestures for $2.50 apiece? Fine. New hats at $7 for a bundle? Sure. 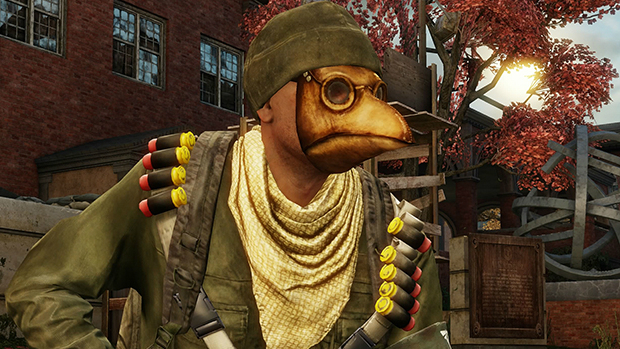 We can all lament the fact that this cosmetic content would have been free, perhaps locked behind a cheat code in years past, but I won't fault anybody for giving some extra money to wear a plague mask. I'm not about to pony up for any of it, but it doesn't affect me that some people are willing to. No, the more serious infraction here is in breaking one of the tenets of competitive multiplayer. Those who pay more should never have an advantage over those who don't. Unfortunately, that's exactly what the tactical weapons and survival skills bundles provide. Though it isn't utterly imbalanced with the premium content in play, the new guns and perks are often better than the base game counterparts. Not only that, but the loading screens are littered with advertisements, outlining just how great the new weapons and skills are. The Frontier Rifle sits in between the Semi-Auto Rifle and the Hunting Rifle in terms of damage and fire rate; it takes two shots to down where the Semi-Auto takes three and it has a better fire rate than the Hunting Rifle. There are benefits to the default weapons. The Hunting Rifle can one-hit a full health enemy with a headshot where the Frontier Rifle cannot. The Semi-Auto Rifle can get three shots off before the Frontier Rifle can get two. However, comparing only body shots, the Frontier Rifle beats out the Hunting Rifle in fire rate. Taking recoil and staggering of a face-to-face encounter into account, it is often easier to land two shots with the Frontier Rifle than to land three shots with the Semi-Auto. The Tactical Shotgun exists in a similar space as the Frontier Rifle. It isn't unequivocally better than the comparable base game weapons, but it enjoys some advantages. The most obvious benefit it has over the Shotgun and the Double Barrel is increased range, able to down in two shots from a range that either of the others would fumble to do anything worthwhile. Less apparent is that it can be equipped as a starting weapon where the other long shotguns are both "purchaseables," only attainable during a match after scoring enough points. Embedded in that purchase is the opportunity cost of not saving up for ammunition, weapon upgrades, or armor. However, the most egregious offender in the Tactical Weapons pack is the Crossbow. It's difficult to measure the advantage it gives because there is no other comparable weapon. It fires silently like the Bow but doesn't arc. Nominally, it can down in two shots, but it has a special ability that makes it absurdly powerful in some situations. After hitting an enemy with it, that enemy will bleed until he heals or is downed. This also lets the shooter see where the target is and what he's doing during that time period. In effect, it can be a delayed one-hit kill. If the target has no health kit, he's toast. 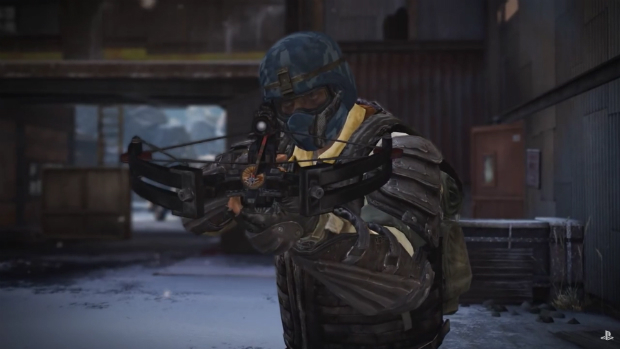 If he has a health kit and he starts healing, the Crossbow user can see the opening and move in for a sidearm or melee kill. Even if the target isn't downed, it still takes him out of the fight for a brief period of time as he retreats and heals. All from a single, silent shot. The Risk Management Survival Skills pack is also difficult to compare, since it adds unique abilities to the mix. Still, aside from Lone Wolf (which rewards players for striking out away from teammates), the skills included are all pretty enticing to me. As a player who focuses more on support than kills, Lucky Break (get more ingredients and items from cache boxes) and Second Chance (cheaper armor after multiple deaths) both would fit my play style well. Jack of All Trades bundles other skills together for fewer loadout points than they would be piecemeal, which appeals to the deal-seeker in me. It skirts the edge of pay-to-win without crossing that line, but it still feels wrong. The downloadable weapons and skills are not unequivocally better than the standard ones, but having more options to choose from does allow for greater adaptation to variable combat conditions. Premium content in a competitive multiplayer title doesn't have to feel this slimy. The paragon of the idea is probably Team Fortress 2, which has been incredibly successful despite its wealth of purchasable weapons and items. On the surface, the two situations look similar; in both The Last of Us and Team Fortress 2, there are guns with functional changes that can be purchased for real money. In practice, there are several design differences that add up to keep TF2 feeling fair where TLoU does not. 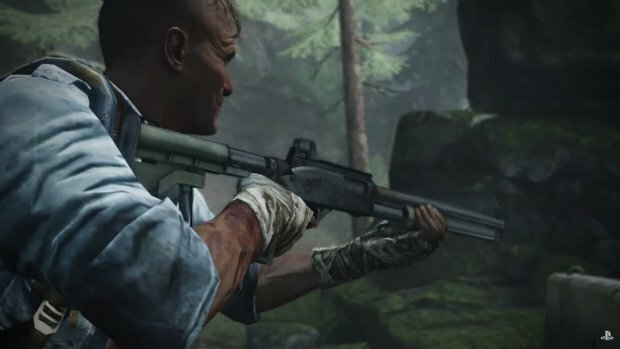 One thing that Team Fortress 2 does with its weapons that The Last of Us could is to make it possible to acquire them through play in addition to by purchase. A lot of the weapons and survival skills in the base game are unlocked by collecting parts through play; there's no reason the downloadable extras couldn't be included as unlockables or even as random drops. Less easy to translate are the specific game design elements that allow TF2 to get away with purchased weapons. TF2's large team size (compared to TLoU's four-player teams) allow for any discrepancy to be absorbed. 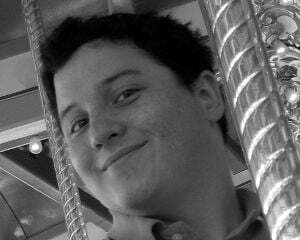 If an overpowered weapon showed up in Valve's shooter, it would be on just one of twelve or sixteen opponents. Not only that, but the faster gameplay allows for quicker reaction; changing class or loadout in response to a particular weapon or tactic is much more tenable in TF2 than in TLoU. On that note, Team Fortress 2's class-based system still trumps any advantage a purchased weapon could afford. Sure, a Spy might get some equipment that lets him costume change more quickly, but he's still going to be beaten by a Pyro flame-checking his teammates. On top of all that, there's the immutable fact that Team Fortress 2 is a proper free-to-play title. It costs nothing to play, where The Last of Us potentially cost players $60 (or more for those who bought the original and upgraded on PS4). Adding free-to-play elements into a paid retail game would feel sleazy even if it didn't have measurable gameplay effects. To reiterate, I think The Last of Us has fantastic multiplayer. In a market full of "me too" shooters emulating Call of Duty or Gears of War, it does its own thing. The problem comes with the feeling that I need to spend extra money (on top of the money the game itself cost) just in order to compete. It isn't exactly pay-to-win, but it leans in that direction, and Naughty Dog does the game a disservice with this unnecessary cash grab.